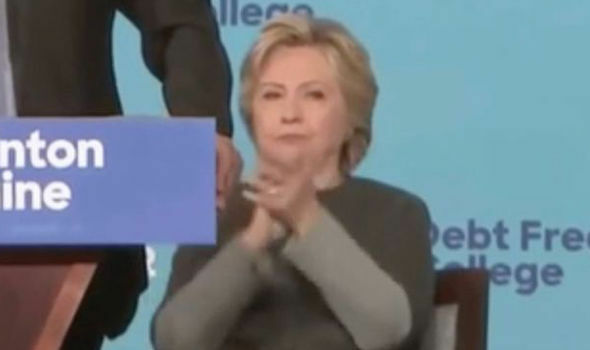 CONSPIRACY theorists are convinced that Hillary Clinton is a robot after she was seen clapping "like a robot". The Democratic candidate was was filmed applauding like a "robotic seal" during a speech by her former rival Bernie Sanders at a rally at the University of New Hampshire. Viewers immediately took to Twitter to swap theories about the 68-year-old former First Lady. The Republican party also fuelled speculation, with one of its campaign teams tweeting: “Watch this video – it proves Hillary is a robot. Twitter user @kessmom22 added: "Robot Hillary gets stuck again, this time in clap mode."